Antidepressants are drugs used for the treatment of major depressive disorder and other conditions, including dysthymia, anxiety disorders. Dose/Strength (ex. 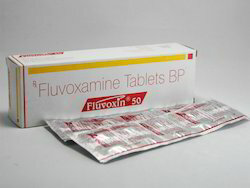 1 mg or 1 ml) Adult:Initial: 5 mg once daily for the 1st wk, increased in wkly increments of 5 mg.
Fluvoxin 50mg Tablets is a prescription medicine used to treat obsessive compulsive disorder (OCD). It is important to talk with your healthcare provider about the risks of treating OCD and also the risks of not treating it. 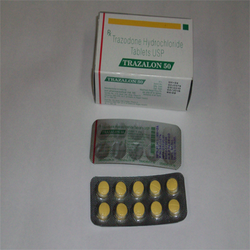 Demega formulations India is major exporter of Trazalon 50mg is a medicine that is prescribed for depression and any depression related issues like fatigue, hopelessness and the feeling of guilt. 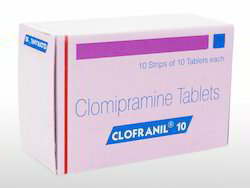 The active ingredient clomipramine belongs to a group of medication called tricyclic antidepressants . It can be used to treat obsessive compulsive disorder (OCD) symptoms such as having unwanted thoughts and the urge to perform repeated tasks. 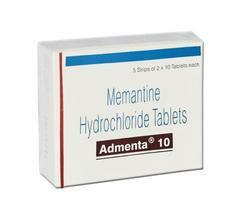 Some people may also use the drug in the treatment of depression. 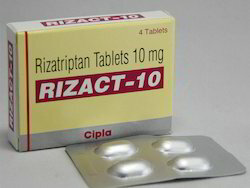 Rizatriptan is used to treat migraines. It helps to relieve headache, pain, and other migraine symptoms (including nausea, vomiting, sensitivity to light/sound). Prompt treatment helps you return to your normal routine and may decrease your need for other pain medications. Looking for Anti Depressant And Anti Anxiety ?